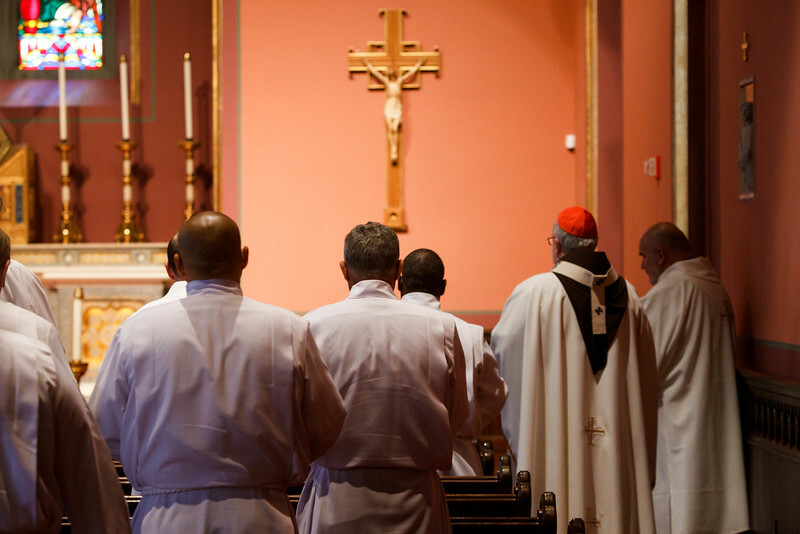 Cardinal Seán P. O'Malley ordains 13 men as permanent deacons at the Cathedral of the Holy Cross Sept. 20, 2014. The newly ordained are: Deacons Francis X. Burke, Michael F. Curren, William A. Dwyer, George C. Escotto, Edward S. Giordano, Charles A. Hall, Franklin A. Mejia, Eric T. Peabody, Jesús M. Pena, Álvaro José L. Soares, Michael P. Tompkins, Jude Tam V. Tran, and Carlos S. Valentin.